Art Camp: It’s just like real camp, but minus the tents, sleeping bags, fire pits, mosquitos, s’mores, ghost stories, sun burns, threatening wildlife, and being outside. Oh, and with clay, watercolor, charcoal, sketchbooks and printmaking thrown in. They’re essentially the same thing. 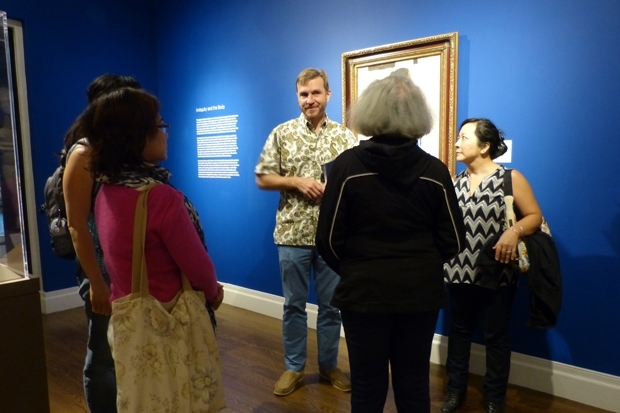 The Honolulu Museum of Art School holds summer Art Camps, spring break Art Camps, and from Jan 5 to 8, fro the first time had an Art Camp specially designed for students of Leeward district schools, specifically students who are recent immigrants to the United States, known as English Language Learner (ELL) students. Students were able to work with a variety of artistic media including clay, watercolor, printmaking and shadow boxes.